Who in their right mind could have predicted that part of Joe Schmidt’s game plan would be to attack Wales’ back three? Surely, the way to win this match was to make sure the ball was nowhere in the vicinity of Leigh Halfpenny, George North or Alex Cuthbert, right? Erm, wrong. Jonathan Sexton gave a kicking masterclass, varying his tactics and keeping the Welsh defence guessing from the start. Ireland’s kick-chase was excellent and they competed in the air superbly, dominating territory. It showed they had learnt from the All Blacks defeat by playing the game in the right areas and not turning ball over in their own half. The fact Halfpenny only had one kick at goal the entire match highlighted the desire of the Irish to play in Welsh territory. Paul O’Connell signing for another two years with Ireland and Munster brought a collective sigh of relief. But when ‘The Freak’ (as Ronan O’Gara affectionately calls him) eventually does hang up his boots, Peter O’Mahony will be there to take the black armband. Watching him play, it’s hard to believe the Munster man is still only twenty-four years old. From the moment O’Mahony starts singing the national anthem until the final whistle is blown, he plays as if his life and country depend on his performance. Knowing the passion and commitment O’Mahony usually displays, this is what made the Australia performance in the autumn so hard to comprehend. Just like O’Connell, he energises his team-mates and manages to teeter on the edge of the disciplinary line without often crossing it. The Welsh attacking game plan was reliant on their huge backs getting over the gain line and forcing Sexton into making lots of tackles. Ireland however were outstanding in defence and prevented Wales from getting quick ball by attacking them at the breakdown and subsequently starving the Jamie Roberts and co. of front foot ball. 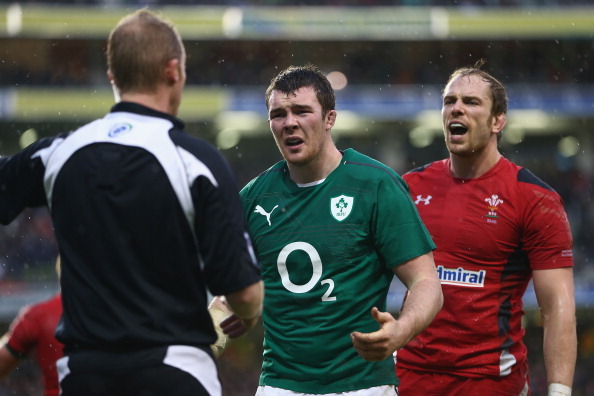 With George North playing the majority of the match at centre, it meant the record breaking Irish pairing of Brian O’Driscoll and Gordon D’Arcy came up short by 28 centimetres and 34 kilos between them. Yet what the Irish lacked in size they more than made up for in technique, bravery and game sense. Defensively O’Driscoll was outstanding and rather than run straight at the Welsh defensive line, he looked for offloads and space in behind to turn and tire them out. Schmidt’s decision to play D’Arcy was vindicated with both of them putting in a huge defensive display in the midfield. They tackled low but also worked in tandem to quickly contest the breakdown when the other had made the tackle. That’s what 206 appearances combined in an Ireland shirt gives you. Since the Grand Slam year of 2009, the question has always been asked about why the national side could not replicate the success of the provinces? There was concern from some factions that with Schmidt having coached Leinster previously that his former charges would be given preference, with Munster and Ulster fighting it out to fill the gaps. But Schmidt isn’t interested in provincial pettiness, the only thing he cares about is winning. He’s brought all the provinces together and, judging by what O’Connell says, they are sharing their provincial secrets for the greater good, hence the incredible drive for the line yesterday which allowed Chris Henry to score his first International try at senior level. 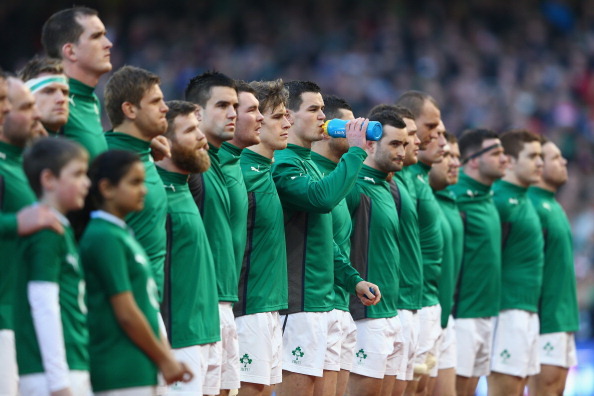 Across the pitch, Ireland won every one-on-one battle and yet still played as a collective. Once again the bench moved seamlessly onto the pitch and the fact that the coaches were able to take O’Connell off with twenty minutes still on the clock shows how comfortable they felt and confident in the ability of the replacements. 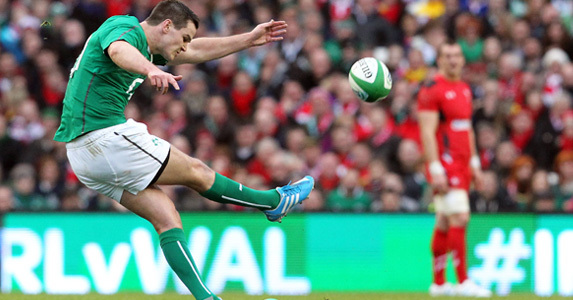 Wales committed a vast number of mistakes and Ireland made the most of the resulting penalties. Technically speaking they are referred to as ‘unforced errors’ but really it was the physicality in the tackle and the lack of continuity from Wales which led to frustration on their part. The Welsh were isolated in phase play which led to penalties for holding on in attack and then they were desperate to get the ball back quickly and, as a result, lost composure in defence. 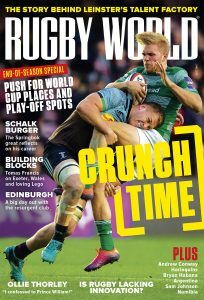 This wasn’t a rip-roaring mauling of Wales fuelled by emotion and a sense of revenge, more an intelligent annihilation of a top opponent – showing that Ireland have much more to offer than ‘heart’ and at only five games in, this is only the beginning from Mr Schmidt.